The hugely talented singer Shreya Ghosal bagged her third National Award for her song, Yeh Ishq Hai, from the film Jab We Met. She had earlier bagged awards in the Best Playback Singer category for Bairi Piya (Devdas, 2002) and Dheere Jalna (Paheli, 2005). R G Vijayasarathy spoke to the young singer, who confessed that she did not expect to win a National Award this time. 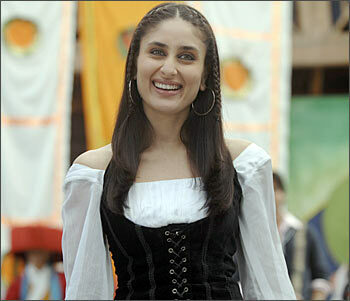 You have won your third National Award in a career spanning nine years. How do you feel about such a big achievement? I think it is all due to God, and the blessings of my parents and fans. It is the listeners who make a singer popular and win prestigious awards. For me, appreciation of the audience is more important than these awards. 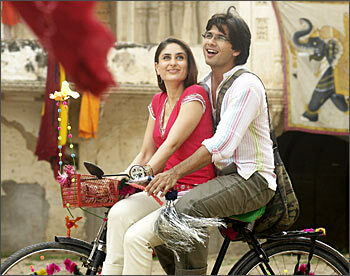 What made me happy was that this song from Jab We Met became hugely popular. I thank the composer (Pritam) and all those who have been a part of the song. Did you expect a National Award for this song? I was sure the song would become popular because the lyrics were good and the song had a good vibe. The composition was very melodious and it had good scope for good expressions. But still, the National Award came as a real surprise. I really thank the jury for recognising the merits of this song. You have also become the most popular singer in Kannada cinema. How do you feel singing in languages unknown to you and still becoming extremely popular? I am really overwhelmed by the enthusiastic feedback I have been getting from Kannada film fans. I think music has no language barriers and music lovers love the essence and strength of music rather than anything else. Talent is appreciated by all the music lovers of India. I started singing Kannada songs from the film Paris Pranaya. I must have sung more than a hundred Kannada songs by now. I write the lyrics in Hindi or English and then I follow the tune and rendition of the track singer. Then I rehearse the songs and give a final take. Yes, I am very particular about diction. I always try to see that I sing the lines perfectly. Look at the difficulties the lyricist takes to write these beautiful songs. The songs become popular not only because it is sung well but also because the lyrics have so much strength and value. I try to understand the meaning of lyrics. Kannada music composer Mano Murthy has used you in most of his films, and many of those songs have become hugely popular -- right from Mungaru Male. All the singers appreciate Mano Murthy. The Kannada film audience knows the greatness of Mano Murthy. He has a great knowledge of music. His melodious tunes are extremely popular because he puts in a lot of hard work. I have seen many such talented music directors but what strikes me about Murthy is his soft-spoken nature and down-to-earth attitude. You have sung in all the four South languages. You have won two awards from the Tamil Nadu Government and one from the Andhra Pradesh government. What is your experience singing in South Indian films? I would like to say one thing about awards. I am happy when I get awards. But people's appreciation gives me more excitement than awards. I enjoy singing in all the four South languages. Singing in Malayalam has been more difficult than the other South languages.